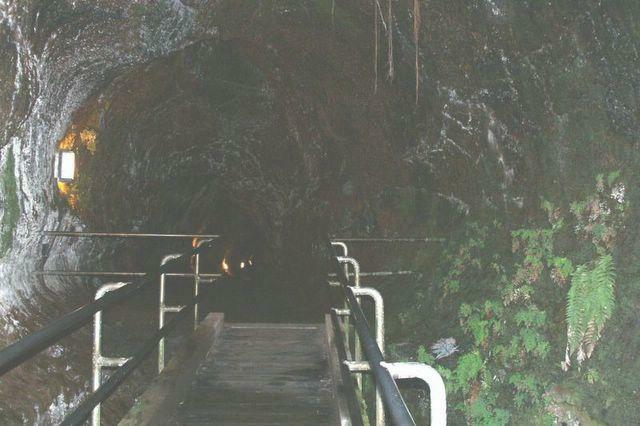 Lava Tube -- This is the entrance to a lava tube. They form while lava runs down the mountain. As the top layer cools and hardens, the lower part keeps flowing. The end result is tunnel like this one.